Sounds Harmless enough, but why are the Democrats so anxious to prevent the public from seeing it? Looks like congratulations are in order to Rep. Brady; the Democrats, by trying to prevent it from being distributed, are giving his chart exactly the sort of publicity it deserves. We are only too happy to oblige as well. I agree, the new plan looks like, and is, a mess. 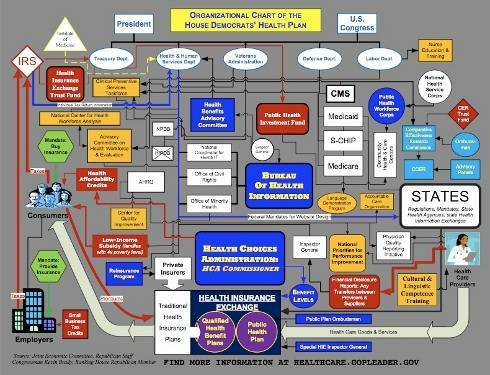 However, to be honest, if you put up a chart of the current system, it would be a mess too. And also, I am wondering, why is there no talk of REFORMING INSURANCE COMPANIES from the republican side of the aisle. One of the dirtiest players in the whole system are the insurance companies, why not have some ( ok, a LOT ) of talk and action to them to reform? Where can I get a chart of the current system? I would like to be able to compare this chart with a chart of the current system. Do you know where I might be able to find such a chart? 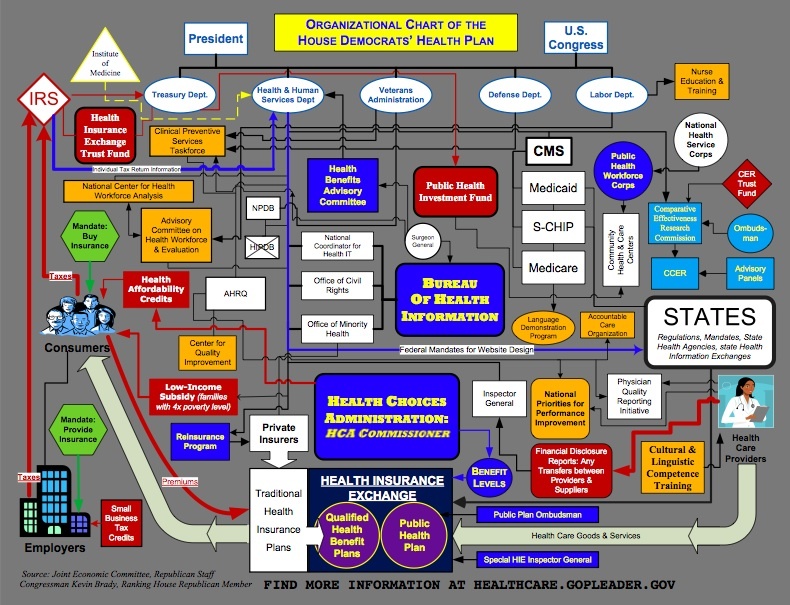 If the chart of the current system was such a mess the democrats would have published it by now.